Are you making consistent income from Google Adsense? If you answered yes, then I’ll assume that you are staying compliant with the Google Adsense policies. You have built your blog with a lot of hard work. Creating a reputation among your readers has also been a very demanding task. You expect to keep making a lavish earning. But if you fail to adhere to even a single Google Adsense policy, your AdSense account will be disabled or in some cases will be banned. Google is very strict about these policies. being ignorant or deceiving will put you in a lot of trouble. Don’t click on your own ads. You may want to check if the ads are working properly or you may want to get more information about the advertisers – but there are lots of ways to do this. If you choose to click on your own ads under this pretext, Google will take note of it and these invalid clicks will cause you a problem. Also, asking your family or friends, social media followers or emailing your list to click on the ads on your website goes against Google Adsense policies. Don’t encourage others using misleading or deceptive methods to generate more clicks. Offering compensation, or using phrases such as “Click on Ads” or “Support us”, or placing misleading labels on Google ads are all sure ways to get banned. Google Adsense has very strict policy of not placing ads in blogs with restricted content, like adult or mature, copyrighted, violent, or hateful content, excessive profanity or content that promotes illegal activity. Content which offers compensation for clicking ads, low quality content or sites using black hat SEO techniques are penalized by Google by lowering their rankings. Create relevant and in-depth content for your site and adhere to Google web-masters guidelines. 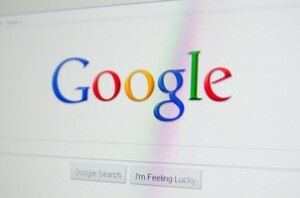 Google does not permit to alter its ads codes it any way, unless it is authorized by Google. Do not use pop up prompts or other prompts to install any software or attempt changes to the user’s browser home page. Don’t use tricks to stimulate accidental clicks. To avoid this don’t place ads near or on page controls like scroll bar or closing tab. Do not create pages only for Google ads or place them in emails or pop ups. Don’t confuse users by placing ads near images or links and misusing Google logos or trademarks for your ads. Do not purchase traffic from third parties who participate in paid-to-click programs, send unwanted emails, or install unwanted software to display ads. Google gives more importance to better user experience and all its policies are created in the same direction. So in order to continue enjoying stable income and not getting banned from Google Adsense, make sure to strictly follow all the rules by Google Adsense. Google keeps updating their policies, so stay updated all the time. Has your Google Adsense account ever been disabled or banned? How were you able to set it back? What is your experience with Google Adsense? Share your experiences below in the comments.